The birding excitement levels have been gradually winding up a notch during the last two weeks. 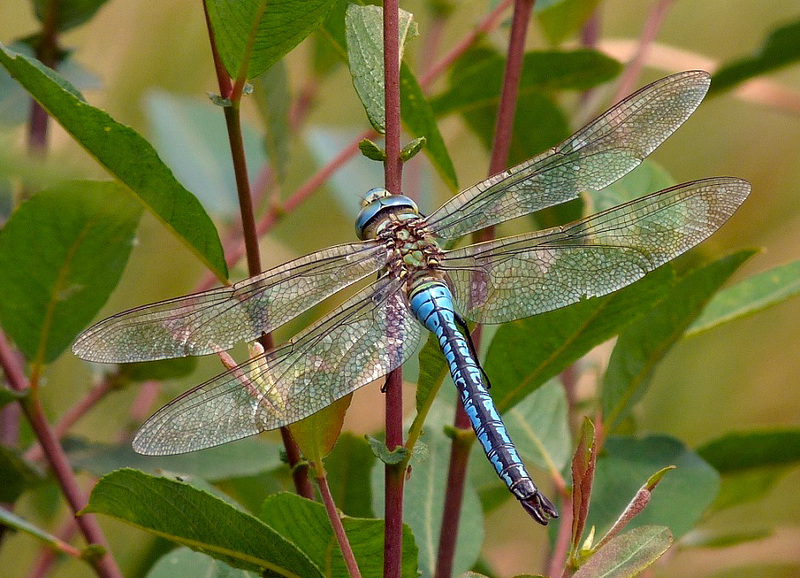 Autumn migration is now on, and the expectation has risen. It has been ages since a decent rare bird has turned up on the island. There is usually something to go look at during the summer months but it has been quiet since the spring. My personal highlights have been a Pied Flycatcher in the Fort Hommet plantation on 10th and a Great Spotted Woodpecker at the Grand Pre on 15th. These woodpeckers have spread so rapidly since they started breeding here. Also I got a new bird for the house on 14th, when I heard a loud wader call from the kitchen, so I dashed outside and saw two Green Sandpipers belting overhead. I wish I could remember bird-sounds better. I have heard Green Sandpiper many, many times before but I didn't recognise the call at all. Amateur. The nicest bird I saw was the whitish-cream Buzzard that circled over the house on 18th with three others. 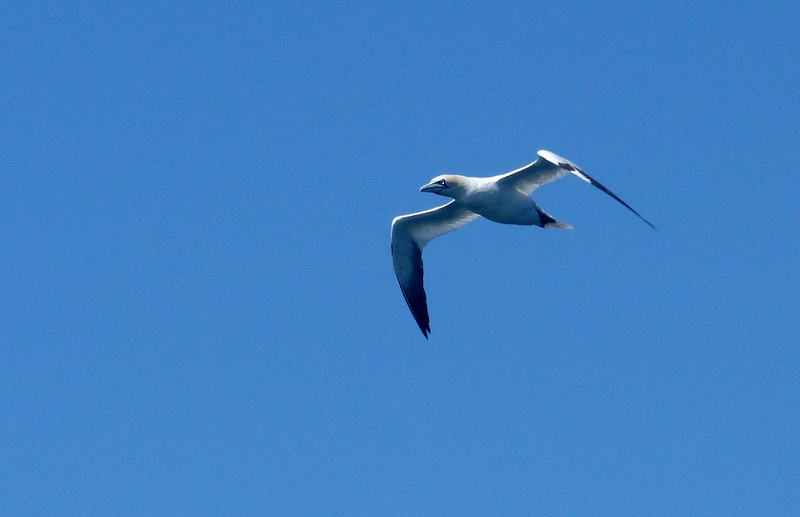 It was very high so I couldn't get a clear photo but it really was a beautiful bird. 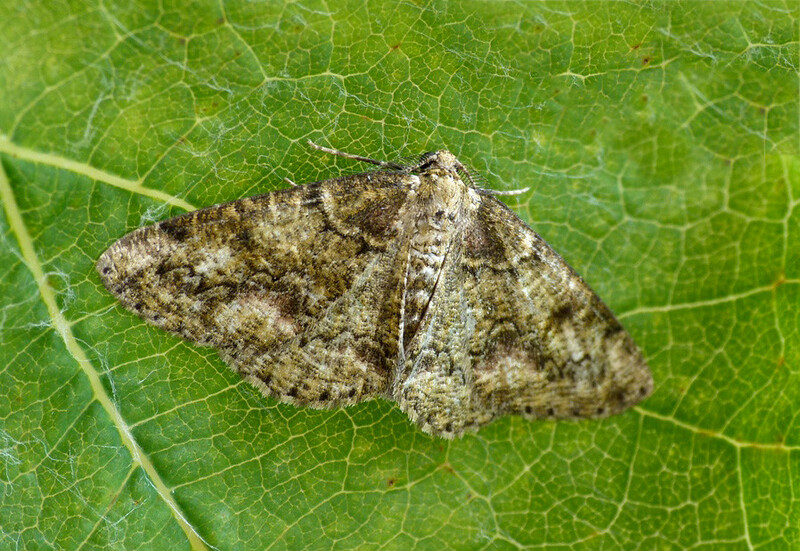 Finally the summer weather has picked up and we've even had some warm southerly winds which brought in a few migrant moths. After the poor first part of the summer I was very pleased to be able to get some decent catches. I had two new species for the garden in the week. 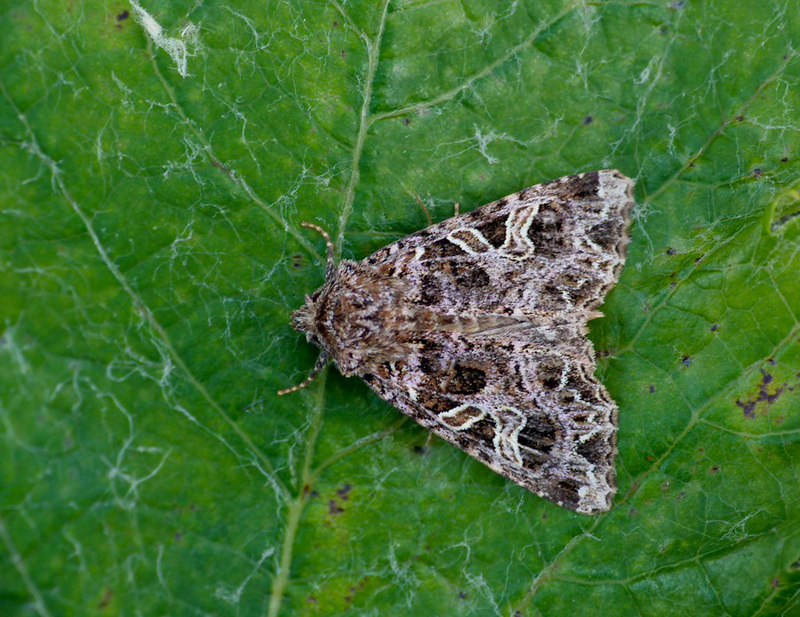 The Campion, which looks very like a Lychnis but did have a slightly different colour-tone which meant it was quite obviously different, and Trachycera suavella, which I may have had before as it is very similar to Trachycera advenella. 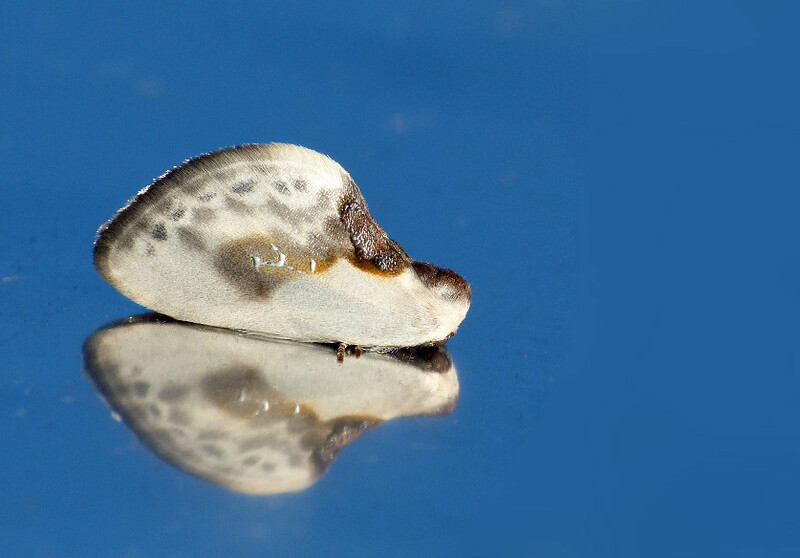 The night of the 17th was the best for rare moths. It was stuffy and warm with a southerly breeze, ideal conditions to get rarities. 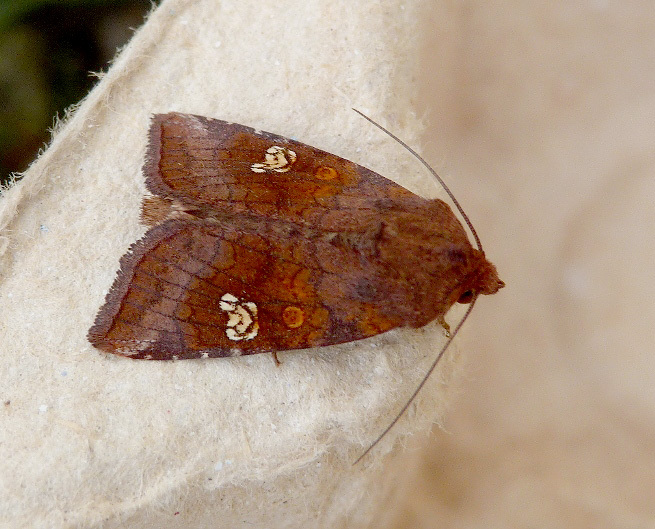 The best was a Scarce Chocolate-tip sat next to a Chocolate-tip. The latter species seems to have colonised the island in the last year or so, as I have had multiple records this year. 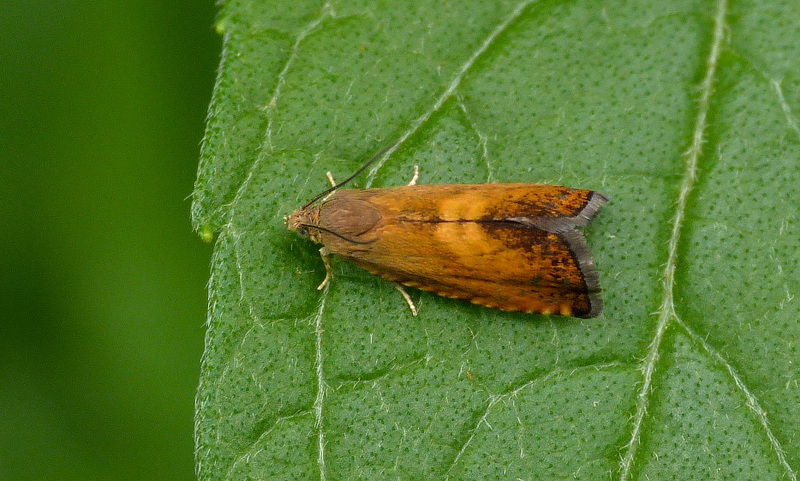 The Scarce Chocolate-tip though was only the 3rd island record. 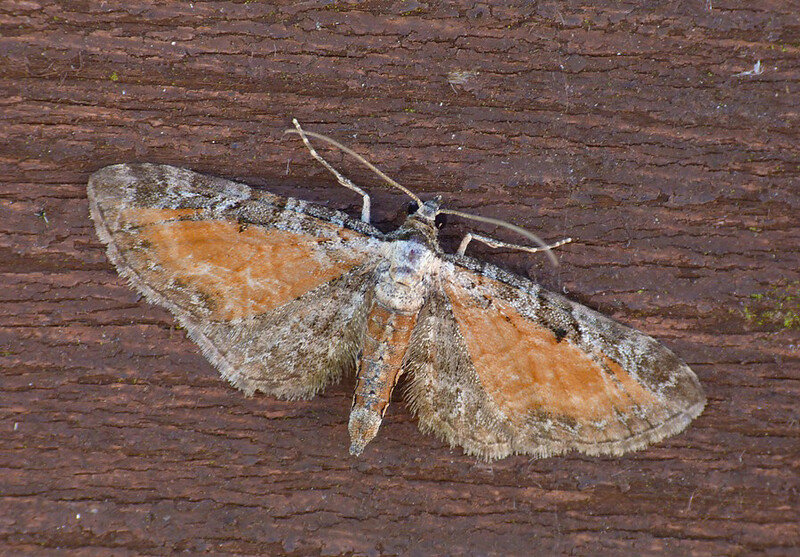 Migrant-wise, there were a record 5 Gypsy Moths, 3 Cydia amplana and 6 Rush Veneer, and there were planty of other good ones including Tree-lichen Beauty and my second-ever garden Tawny-speckled Pug. Tree-lichen Beauty - garden, 17 Aug 2012 - This used to be a big rarity but may be breeding on the island nowadays. multiple Gypsy Moths (and a Great Dart) - garden, 17 Aug 2012 - My five caught that night seems to be the record non-pheromone catch for this species locally. 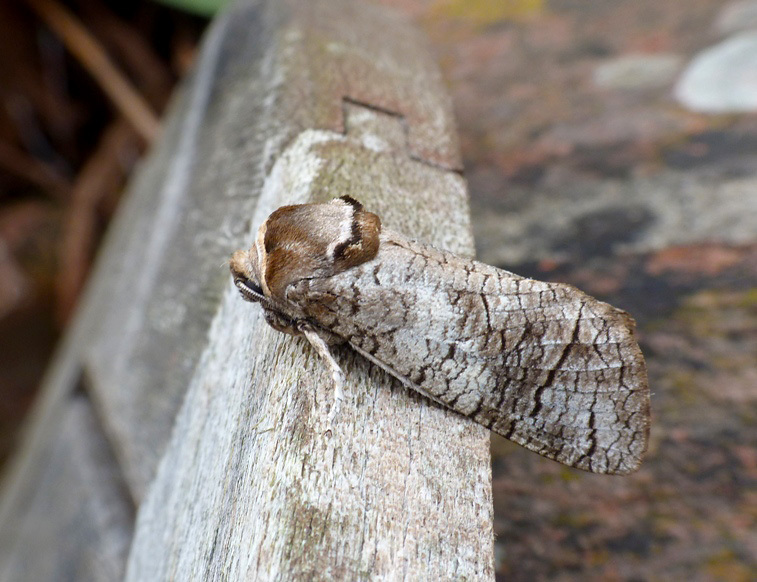 Goat Moth - garden, 13 Aug 2012 - I had not seen this declining species for five years. 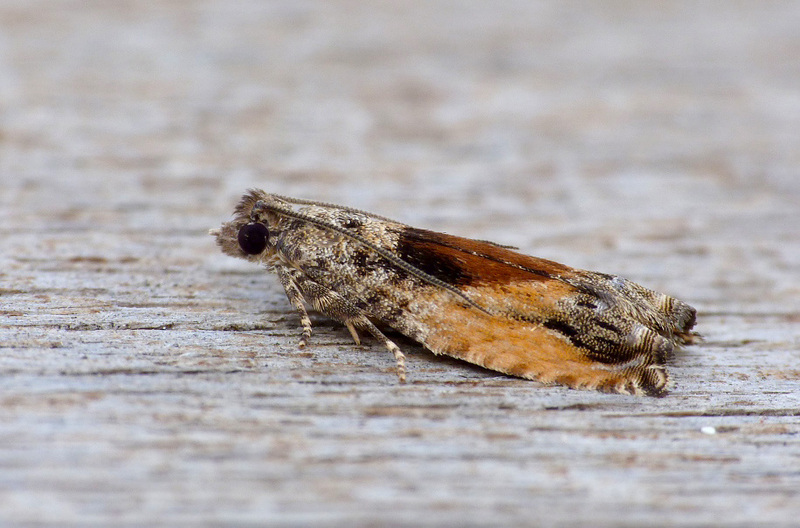 Epinotia nisella - garden, 8 Aug 2012 - I think that this is nisella, but this orange form is nothing like any of the nisellas I have seen before and I assumed it was a new species. Very pleased with this photo - please click it to see it full-size. 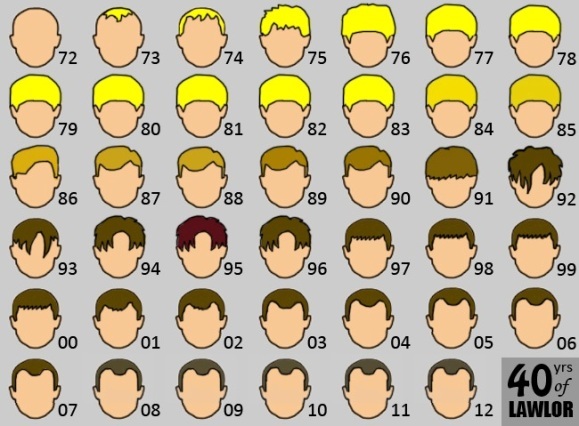 Well this is my final blog-post of my thirties. In two days time it is my 40th birthday. Although my body clearly looks 40 - (and according to my pupils, much older than that) - I think my mind is lagging a good ten years behind, and still feels full of fun and vigour. So I'm not prepared to be an old giffer quite just yet. "When I was One, I had just begun. When I was Two, I was nearly new. When I was Three, I was hardly me. When I was Four, I was not much more. When I was Five, I was just alive. But now I am Forty, I'm as clever as clever, So I think I'll stay forty for ever and ever." Despite being here in Guernsey since 1998, I have never visited the island of Alderney. So I arranged to take a trip with Pat and Pete, and we have spent the last four days there. I was pleasantly surprised by the island, as I have always been given the impression that it is a rather bleak place. But it wasn't at all - quite similar to Guernsey, but it also reminded me of St. Mary's on Scilly. I wanted to go just to look around, so it was not totally a wildlife-hunting trip, but we were hoping to find some new micro-moths for the island because they have not been well-studied before. 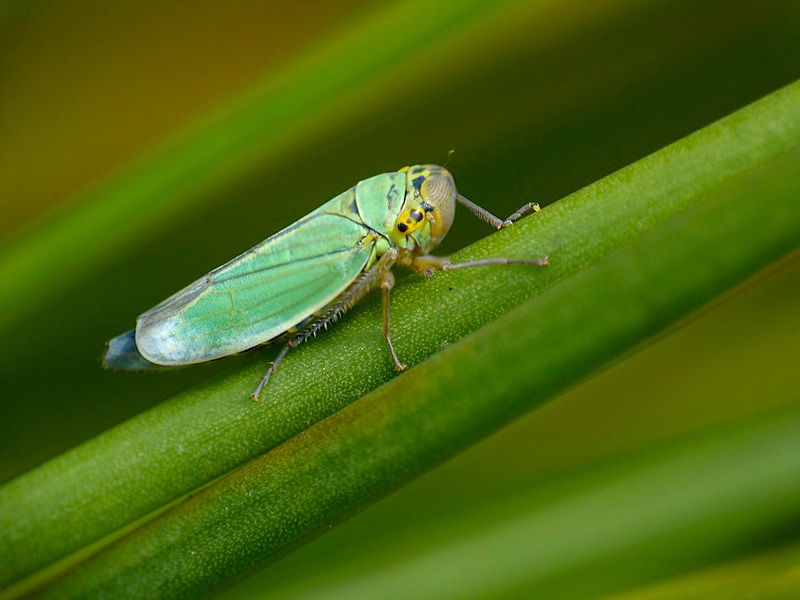 So far, we have found 6 or 7 new species of micro, with a few more to study with the microscope. The macros have been well-studied by David W who lives there and he was going to put a few traps out for us on a couple of nights. It is so surprising that despite Alderney being visible from Guernsey, the selection of species in the traps is quite different. Things common here may be scarce there and visa versa. 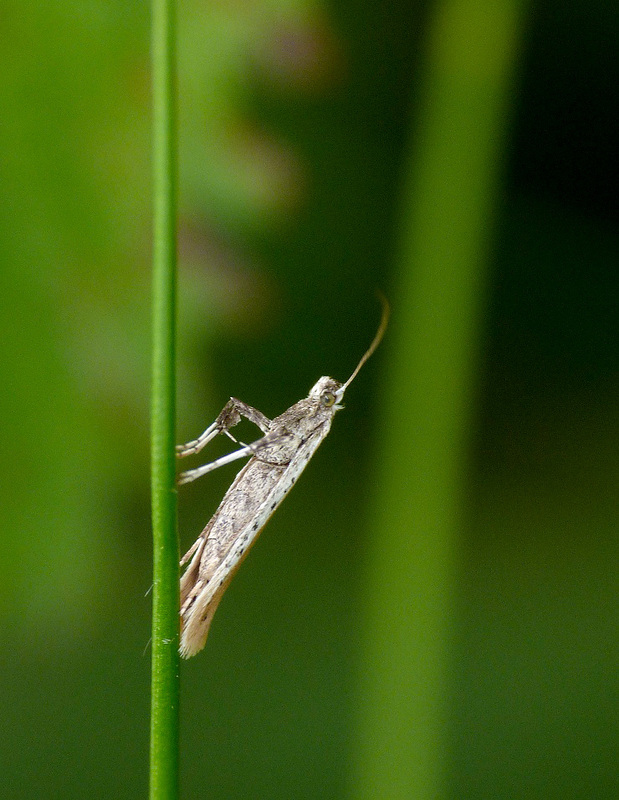 So, I saw about 5 or 6 new macro species that I had never seen before. Drinker - Lighthouse, Alderney, 4 Aug 12 - Appears to be quite common on Alderney but there are no recent records from Guernsey, although it may occur on Herm. 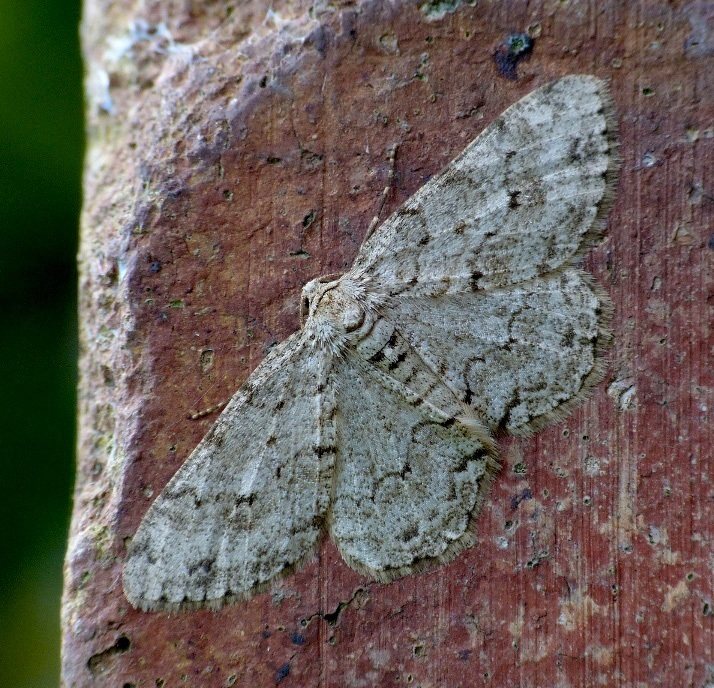 Engrailed - Essex Farm, Alderney, 4 Aug 12 - Another species that does not appear to occur in Guernsey despite being relatively common in Alderney. 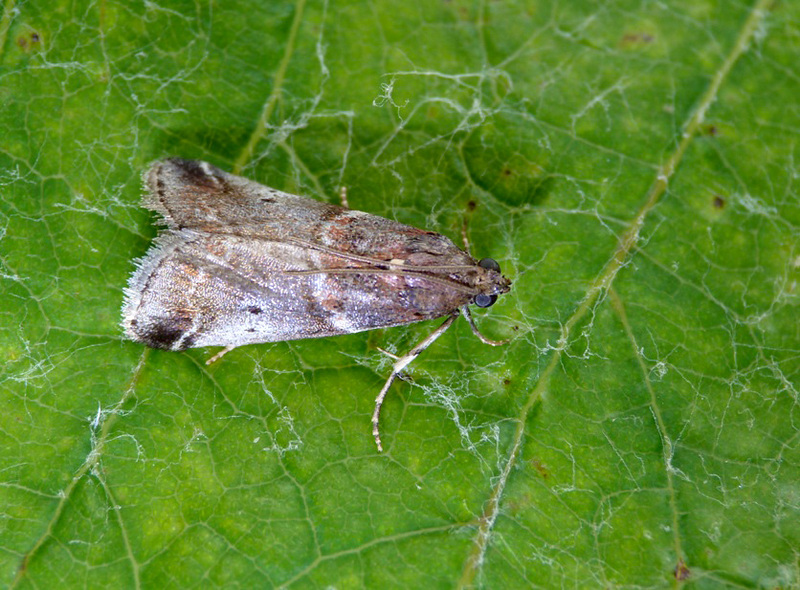 Ear Moth - Lighthouse, Alderney, 4 Aug 2012 - I have only recorded Saltern Ear in Guernsey, but Ear Moth may also occur, it's just a case of picking one out. 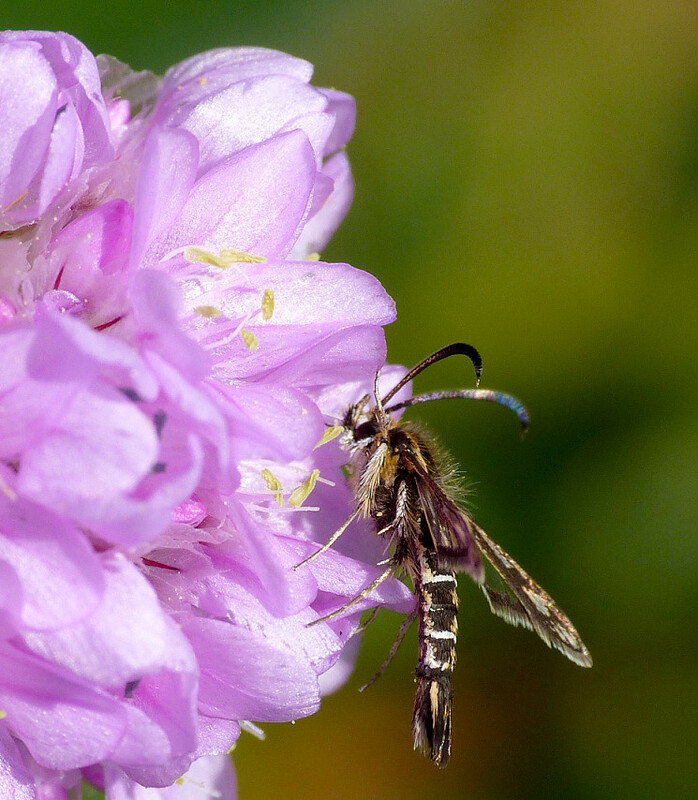 The ones in Alderney seemed smaller, darker and neater than the Saltern Ears that I get in the garden. There are also plenty of rare plants that occur in Alderney but not in Guernsey and Peter had brought some helpful notes from Jennie G to follow. We managed to find quite a few new species that I had never seen before (and also failed to find quite a few!). Orange Bird's-foot - Mannez Pond area, Alderney, 4 Aug 2012 - very rare in the UK. Bird-wise, it was mainly just the local species seen, as migrants were not moving through yet. On the final day in Crabby Bay and Braye Bay, there were a few migrant waterbirds seen, with 5 adult Med Gulls, a juvenile Kittiwake, a Sandwich Tern, a Whimbrel and a Common Sandpiper. The highlight of the trip was the boat trip that I took. From the harbour we went right around Burhou and its surrounding reefs, over to the Gannet colony at Les Etacs, and then around the rest of the island. I had a very very very faint hope that we'd be bobbing about and spot the Black-browed Albatross that has been seen locally recently, or that I would spot it sat on a rock in amongst the colony. It was a superb way to see the island and the photos below were all taken from the boat. 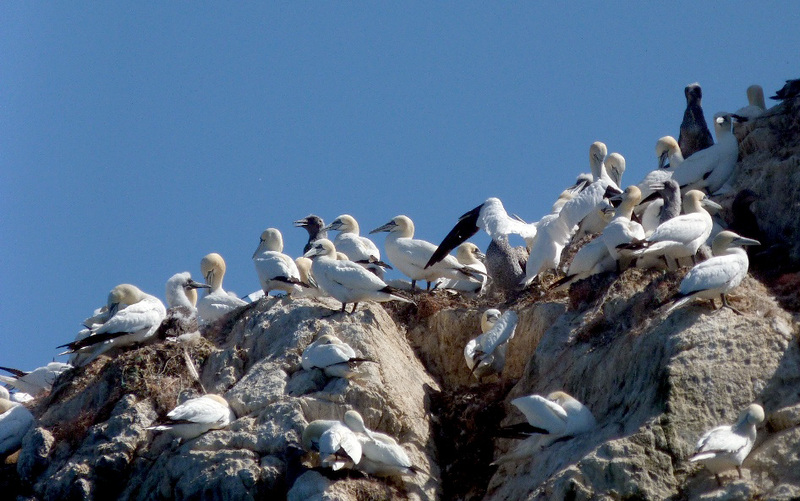 Burhou and the reefs beyond - There was a very large feeding flock of Gannets just beyond Burhou. 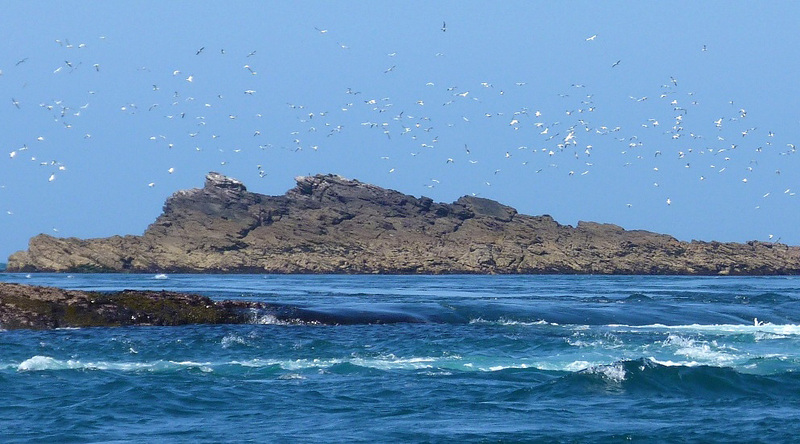 One of the most fascinating things about the sea around Alderney was the famous tides - "The Swinge" and "The Race". The speed of these tides has to be seen to be believed. In the photo above it looks like there is a wave coming in but it wasn't. This is just the tide racing past the island, and you had the bizarre sight of the sea sloping! The sea level is clearly higher beyond the rocks than where we were in the boat. It looked like we were on a fast-moving river rather than the sea. Gannet - off Burhou, 3 Aug 12 - there were Gannets constantly close to the boat and if I was a knowledgeable photographer I would have been able to take lots of good shots. 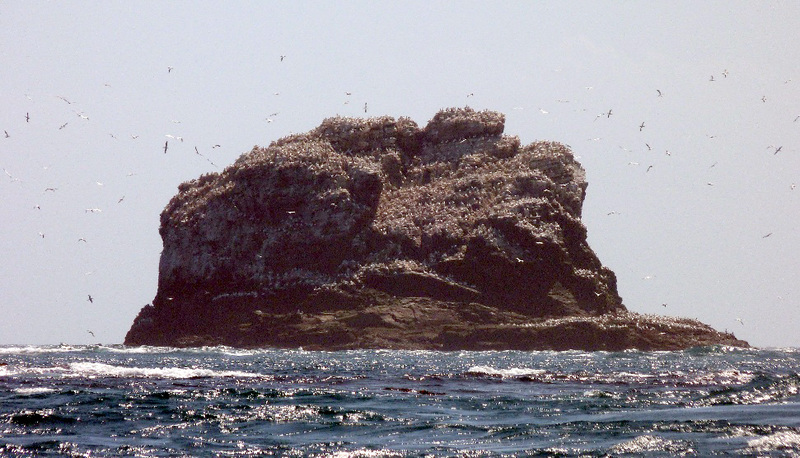 Ortac - the more distant Gannet colony which we could not visit because of the tides. 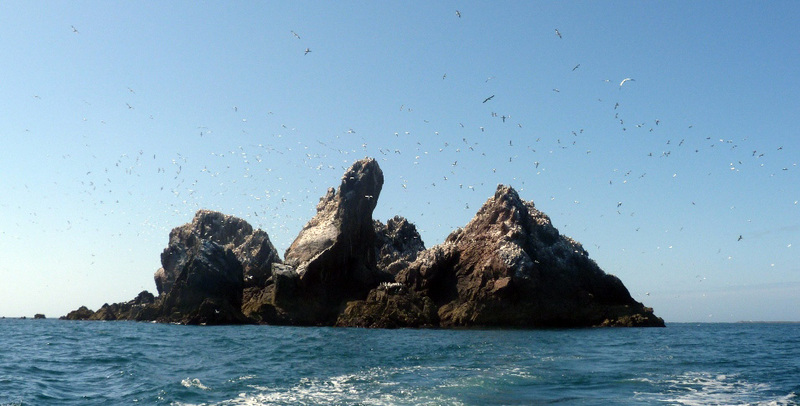 Les Etacs, or the "Garden Rocks" - this is the closer Gannet colony which we were able to go around, which lies just off the Alderney cliffs and can easily be watched from the coastal path. I did take more photos during the time I was in Alderney, and these can be found in a Flickr Gallery - click here. My target this week was to find the Green Lizards of Guernsey. Even after all this time of living here, I've never really gone looking for them. 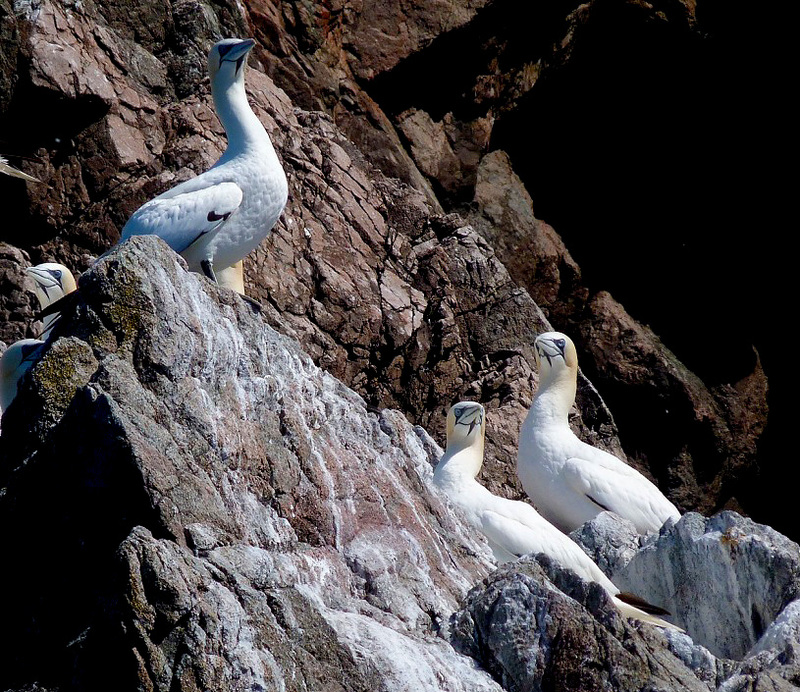 They are very, very restricted in range, and only live on the warm cliffs south of St. Peter Port. They are a larger species than the lizards found in the UK, and I was surprised to learn that they were native, even mentioned by Gilbert White in the 18th Century. Mark G told me last summer where he'd seen them, by Clarence Battery near the bathing pools, and so I searched there. My first visit was unsuccessful but I managed to locate one individual on my second try. I was rather lucky to do so. All I saw was a small movement of the grass next to the path, and I crept forward slowly and I saw it shuffling around deep in the grass and under the Blackthorn bush. It never showed out in the open and slowly walked away, deeper into the bushes. I think maybe it might be better to get there earlier in the morning when the reptiles may have to be out in the open to warm their bodies up in the sun's rays. 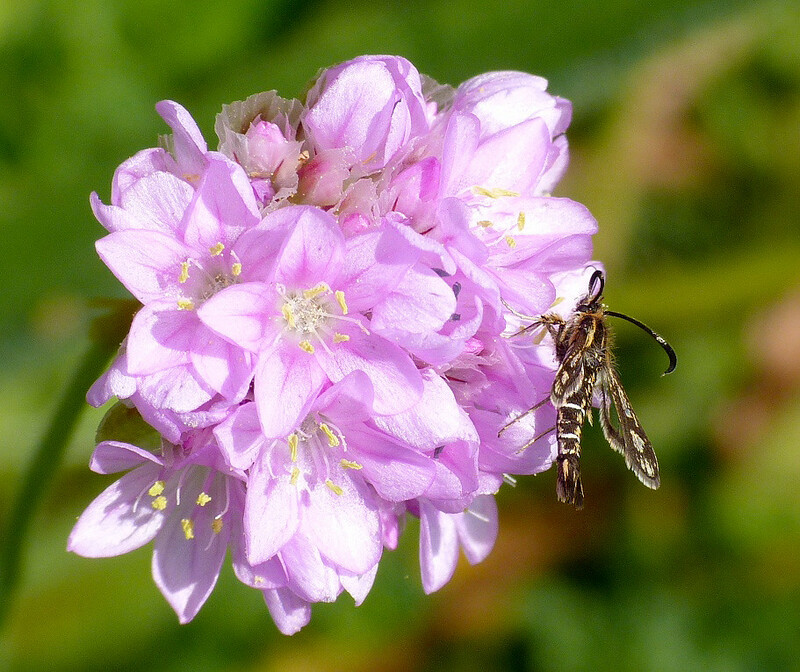 Also there, I noticed a couple of Thrift Clearwings feeding on the flowers. 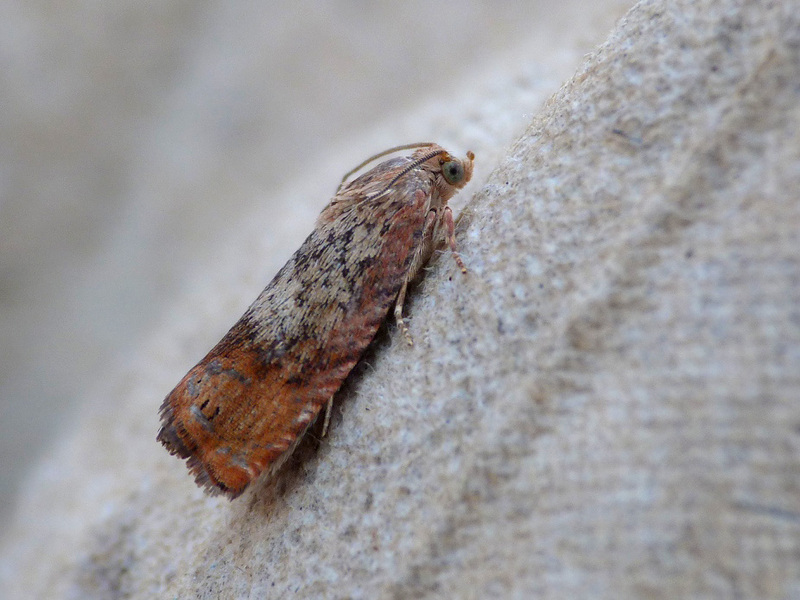 Looking at the records, this appears to be the first East coast record of this species. 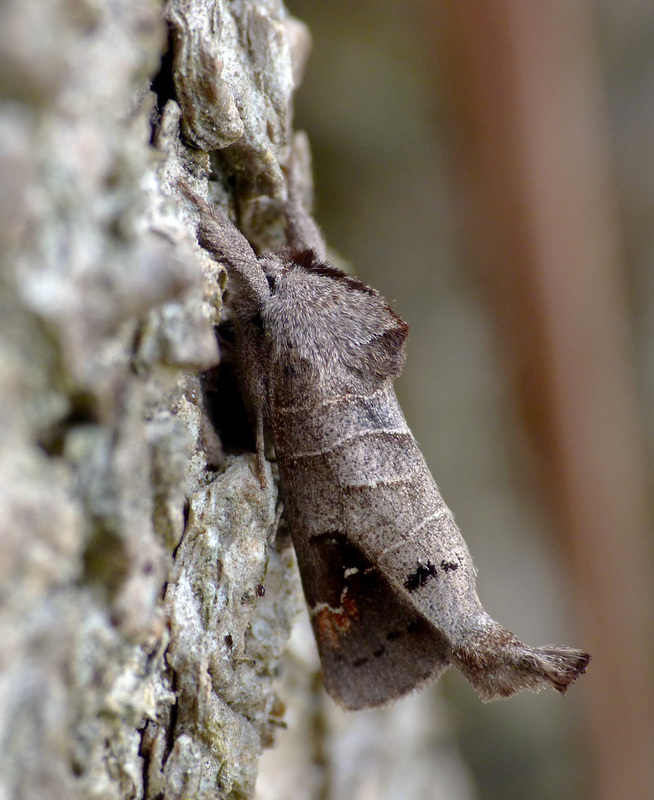 The moth trap has been quite successful with the improved weather helping the insects. Incredibly I had two new macros in two nights this week. I only get a handful of new species for the garden per year nowadays after 8 or so years of trapping, so this was unexpected. The species involved though were not unexpected however, and I'd had both of them before in Guernsey, but not for a wee while. The first was Brussels Lace, which was my third record. 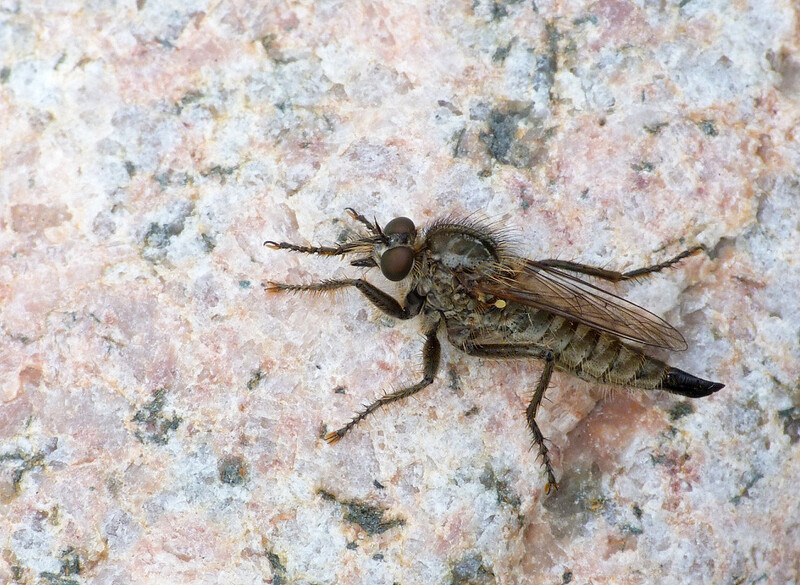 This species feeds on lichen and I suspect it is quite a coastal species here. The second was Tawny-speckled Pug, for which there are no previous records for the North of the island. Chinese Character - Garden, 22 Jul 2012 - I love this photo. 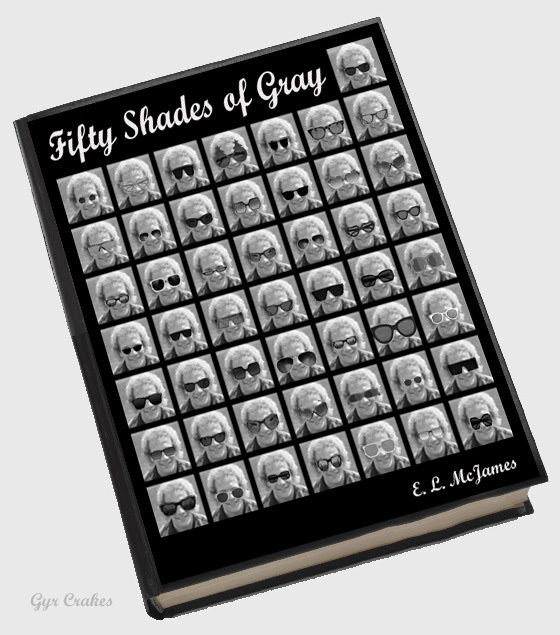 There has been a lot of hyperbole about this book. I couldn't see what all the fuss was about. It's a travelogue about a washed-up footballer and his search for the perfect pair of sunglasses. Average. 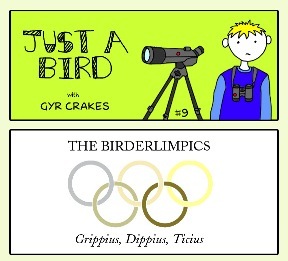 Also, it's been a while, but I have done another cartoon strip - The Birderlimpics. 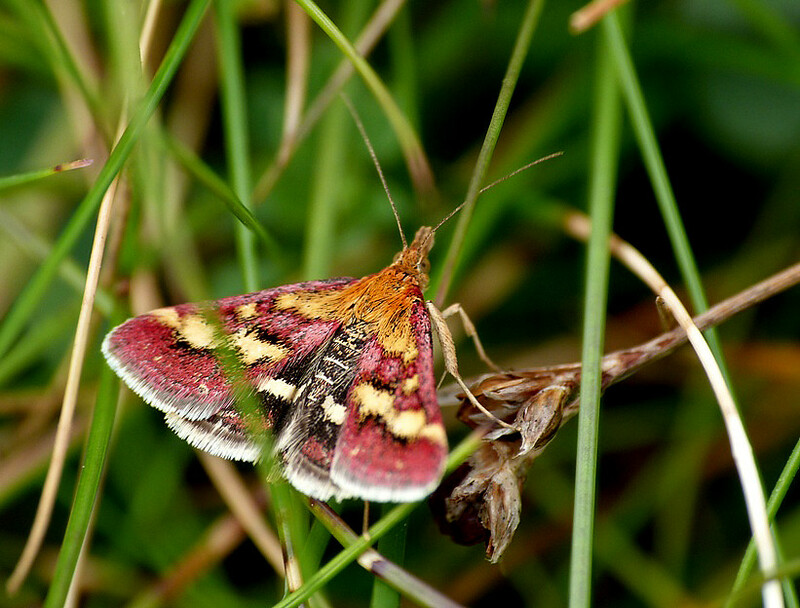 Pyrausta ostrinalis - Herm Common, 17 Jul 2012 - this species appears to be restricted to Herm Common where it is very common. Although there are many sites that Thyme grows here on Guernsey, I have never seen it here. What colours! 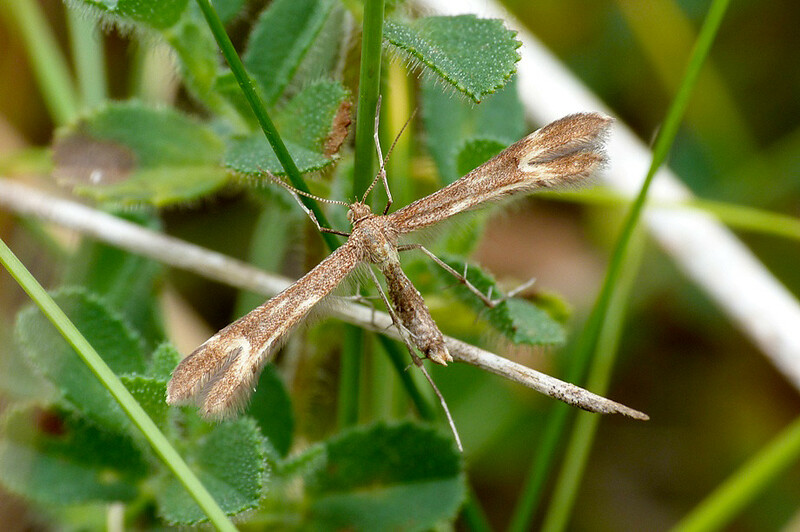 Marasmarcha lunaedactyla - Herm, 18 Jul 2012 - I've always called this 'Restharrow Plume' but the new plume moth book calls it 'Crescent Plume'. 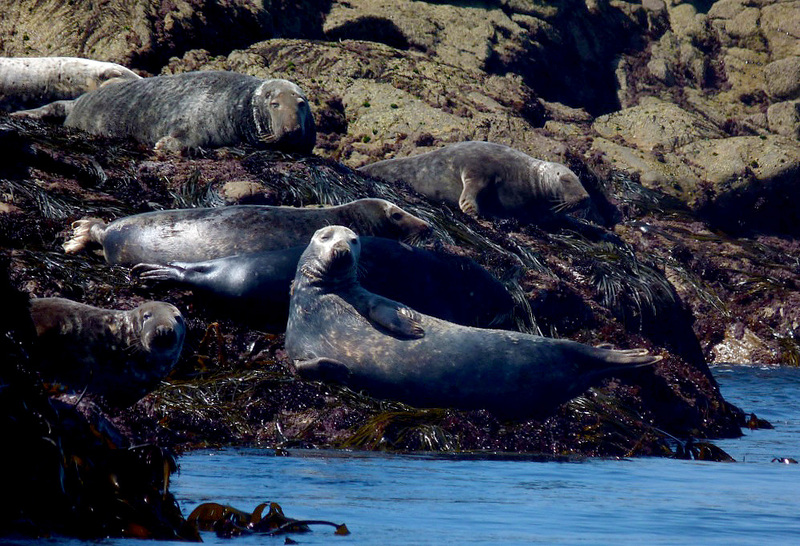 Charlieus luggigrandis and Camillanus bacobussus, Castle Cornet, Jul 2012 - I was soooooo disappointed to learn that when Charlie Boy and Godzilla came to visit the island I would be stuck on Herm and I would miss them. So imagine how overjoyed I was when I was waiting for my pick-up and saw the two of them way across the harbour. This is the second time that I have accidentally seen royalty after I inadvertently joined the Queen's motorcade about ten years ago. So on Friday it was the last day of school and I have now got the summer off - Yay! But this was not the usual last day of school, it was literally the last day of the school. Les Beaucamps High School closes down after over 50 years of service. Luckily for me they have built a brand new school next door so I am not actually out of a job when it gets bulldozed. I have not been to visit the new school yet, unlike most of the teachers, because I want to have a (nice) surprise. I've seen my room location on the plan and I am sure I'll get an amazing view from my classroom. Well after ten years at St. Peter Port School looking into a courtyard, and the last few years here looking at half the playing field, I reckon I deserve one. The last week or so was spent piling everything into boxes for the move and after the last bell on the last day, I managed to take a few photos of the decaying building. Click HERE for a gallery. Les Beaucamps High School - pretty, isn't it? Incredibly, that's another week of wet and windy weather. It is seriously going on too long now and getting on everyone's wick. Especially since it is choosing the weekends to be at its worst. A bird highlight of the week was this superb adult-summer Med Gull that I drove past on the way to work. I just had to stop and and have a look - can't get tired of this beautiful species. 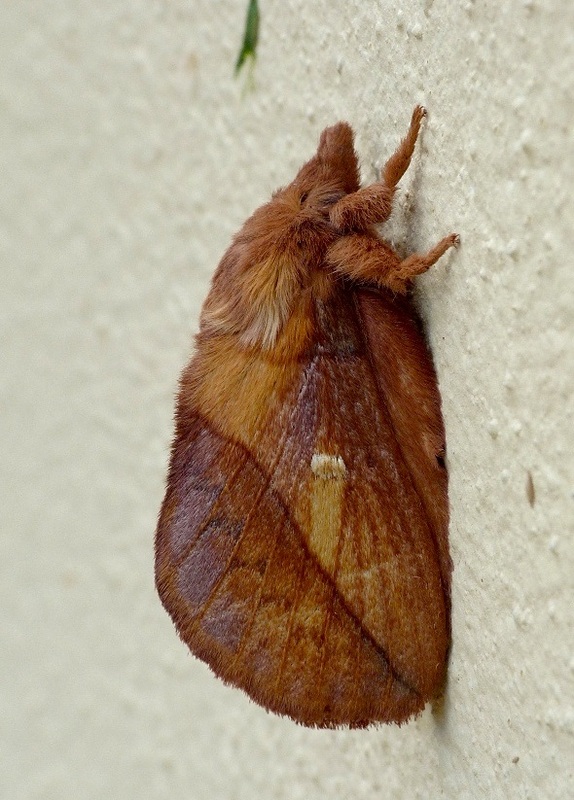 The weekend deluges have meant that the moth trap is still moth-balling in the shed at the moment. But I am still searching for the little critters out in the field whenever I can. 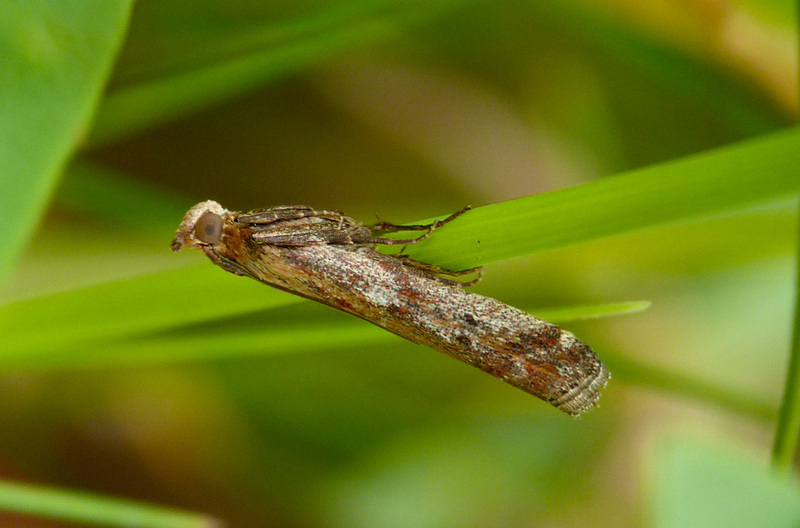 On Thursday lunchtime I had a walk round the Petit Pre Reserve in the Talbot and found two species I'd only seen once before - Syncopacma larseniella and Pammene aurita. On Friday I noticed quite a few Silver Y feeding along the coast so perhaps we have had a little influx of migrants in. Pempeliella ditutella - L'Ancresse, 3 Jul 12 - uncommon here, found where Thyme grows. The above species of spider - aka the 'Long-jawed Orb-web Spider' and quite a spectacular one actually - was most notable as it was officially my 1500th species recorded in Guernsey. 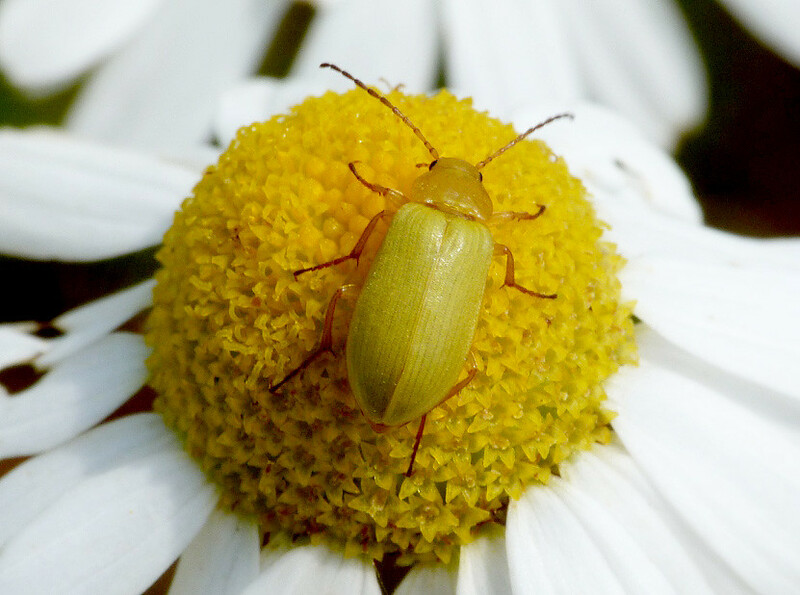 Something that came to my attention during the winter was the concept of "Pan-species Listing", which is simply recording every species of living thing you see, rather than just a certain group (for more details, see this website). 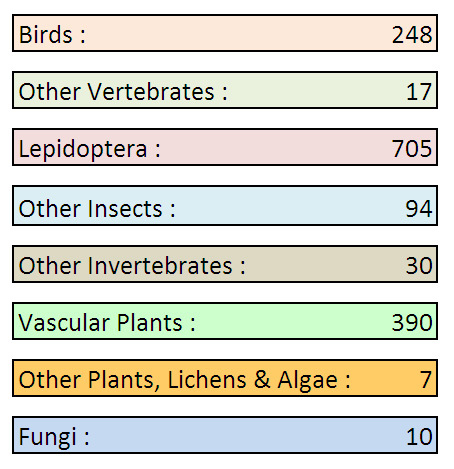 Looking back in my records, since I arrived in Guernsey I have actually been recording all new species I have seen, and so with a little rearranging and re-filing it was very easy to calculate my Guernsey pan-species list - something like 1350. And since then, mainly with new plant species, I have been totting it up as I go. And the aforementioned spider took me to 1500. I wonder what number 2000 will be? 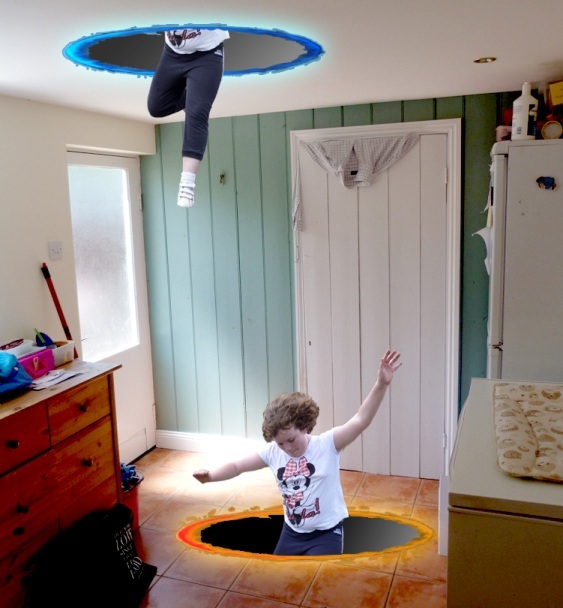 Also last weekend, something odd happened in the kitchen . . . . . . . .